The only church in Chernobyl dedicated to the Old Testament Prophet Elijah is first mentioned by chronicles in the 16th century. Following the accident at the Chernobyl nuclear power station in April 1986 the church was closed. Services in it were resumed in 2001. 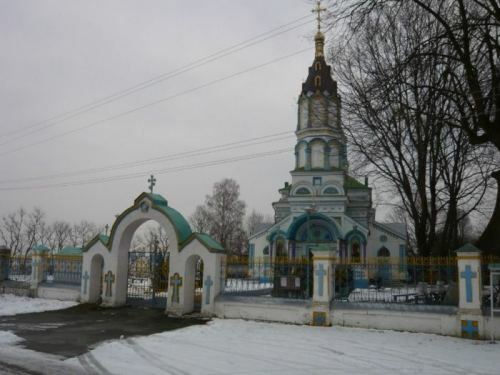 The church contains the revered icons of “The Saviour of Chernobyl” and of St. Nicholas the Wonder-Worker. In April 2011, on the 25th anniversary of the Chernobyl catastrophe, Patriarch Kirill of Moscow and All Russia visited Chernobyl. The head of the Russian Orthodox Church served a funeral service (panikhida) there for the repose of the accident victims. The Patriarch then noted that the containment and stoppage of the nuclear power station accident “became a great moral feat for thousands of people” and called upon the gathered people not to forget the Chernobyl disaster victims.